Add an extra dose of style to your wedding day attire with these handsome high polish brass cufflinks. 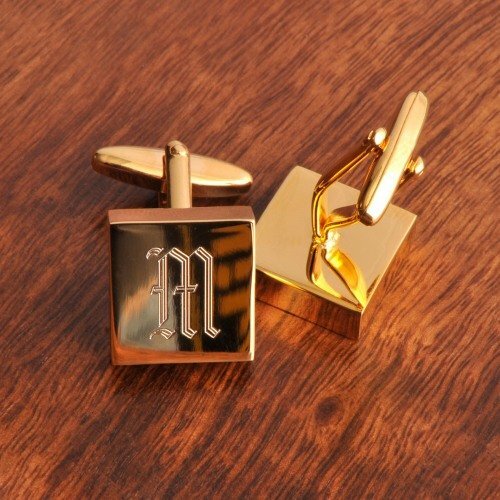 Each cufflink comes engraved with his single initial and is square in shape for a classy and elegant look. Perfect for the groom, groomsmen, and any other special man in your life.